The softened water and high pressure spray at a carwash will return gross lawn furniture seat cushions to sparkling in minutes. 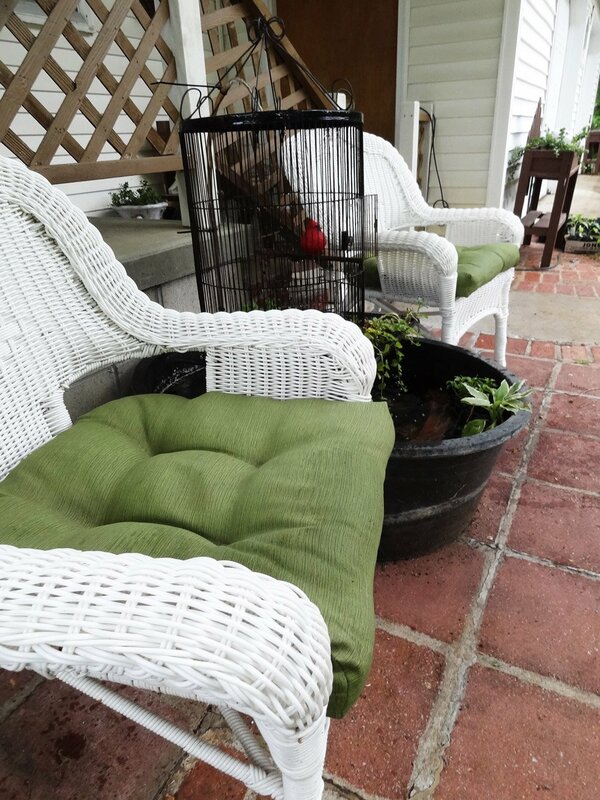 I’ve even had great luck doing this with cushions that were starting to mildew from being wet and shady too long- one trip to the car wash and letting them fully dry in a sunny spot in my yard had them looking and smelling like new again. This trick also works great to clean thinner-style dog beds (but definitely NOT the cedar stuffed kind!). Keeping your car dry on the trip home can be the hardest part. I use an XL Tub Truck (aka a “muck bucket”), but using a laundry basket or even large trash bags should protect your car. 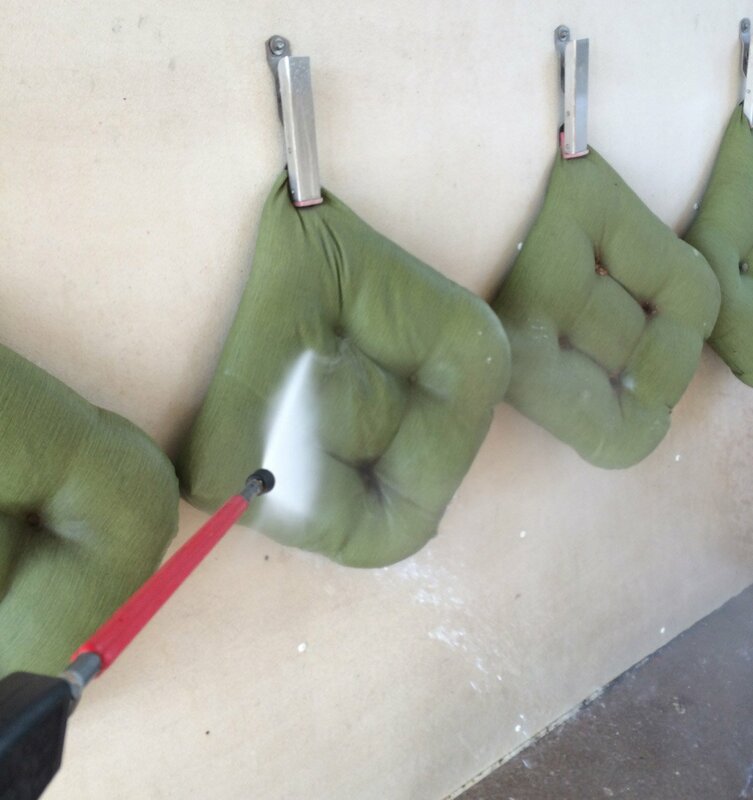 You may want to move the cushions a few times while you are cleaning to be sure and clean the part that will be covered by the clamp during the first pass with the sprayer. Back home, cushions dry quickly on my vinyl wicker chairs. Car washes work great when you just don’t want to deal with the expense of a powerwasher or the soapy, grimy runoff, but after I’d been taking my outdoor cushions (and dog beds, and horse blankets, and saddle pads, and my car) to the carwash for a few years I put a portable power washer on my Christmas list. Guys, owning a homeowner-grade power washer was LIFE CHANGING. only exaggerating a little. The hand-held pressure washer units have a TON of power and are about what you’d pay for a round or two of having someone else pressure wash your siding.